Many of us go through year after year taking care of our lawn and never know what type of grass we have growing out there. Because we all live in different regions we will have different varieties in our lawns. With this post, I hope to give you a way to answer the question of what type of grass do I have? Cool season grasses are grasses that thrive in places that have cold winters and hot summers. This will include the northern states in the United States. These grasses grow well in 65 to 80-degree temperatures. These grasses consist of Kentucky Bluegrass, Perennial Ryegrass, Tall Fescue, and Fine Fescue. 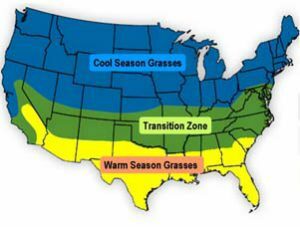 This area is where the cool and warm season overlap and each type of grass (warm & cool season) can do well in. Some better than others. This is because of the hot dry summers and the cold winters. The most used cool season grass for this area is Tall Fescue. It is more heat and drought tolerant than the others. The warm season grasses used in the transitional areas are Bermuda Grass, Centipedegrass, and Zoysia.They are also drought resistant and can stand colder weather better than some of the other warm season grasses. These grasses usually turn a brownish color when temperatures are steadily under 60-degrees. This grass thrives in hot regions with milder winters. These grasses consist of St. Augustine, Zoysia, Centipede, Bahia & Carpet Grasses. What Type Do You Have? It may be hard for someone to just look and know what they have so to help you out I will direct you to the University of California Agriculture & Natural Resources. This will allow you to get a look at the different types and compare them to what you have in your lawn. You will also be able to get more information on each type to help you as well. This will also help you to determine what kind you might want to plant. I hope this article was helpful to those who visited. 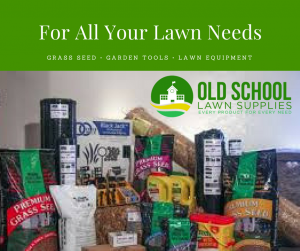 If you decide you want to plant your seed in the Spring feel free to visit Old School Lawn Supplies for great prices and selections for all your lawn needs. We welcome all feedback so you can leave any questions or comments in the comments section and I will be glad to assist you. Thank you for stopping in. I have been wanting to figure out which grass to grow in my area. I live in Southern Nevada, so based on your chart that’s transitional. Almost everyone in my area has either a dirt patch front lawn, or fake grass because the heat is just killer and so much watering is required to keep grass green during the summer. I appreciate the advice on grass seeds. Is there anything else you’d recommend for my climate as far as a treatment to keep grass green all summer? Hi, Jaime. It would help you to use a seed that is heat tolerant. The grass for your region that is heat tolerant would be a tall fescue grass. You already know to keep it watered. But avoid watering it in the heat of the day. Try to stay in the 4 am to 10 am zone. I hope that helped. I live in Alaska which is not on the map above but I thought the varieties you mentioned for the cool season grasses sound familiar. Sure enough, I just did a little research of my own and see that Kentucky Bluegrass and Red Fescue are the most common types used in blends here. We have gorgeous lawns as long as they are watered regularly. It gets warm enough for them to dry out if we have a dry summer. Thanks for explaining the different blends and zones they grow in! I love a gorgeous lawn! You just gave me some information on what type of grass is common where you live. This is why the comments section of these post are so great. There are others who would love to know this. Thank you so much for sharing. Thank you so much for sharing this. Most of all may not know what is perfect for your lawn.There are others who would love to know this. I appreciate the advice on grass seeds. You are very welcome. That is what I started doing this for. I know there are a lot of people who don’t know much about what their lawn is all about. 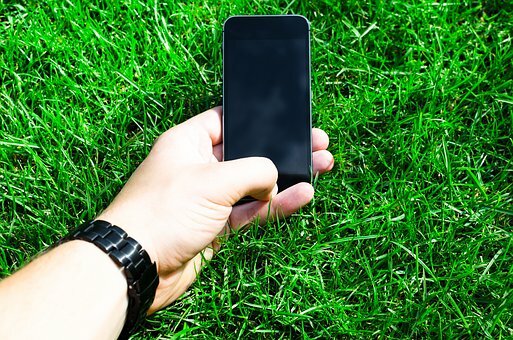 So I try to post information that will give them insight on their lawn and how to care for it. Just moved to central Texas. My grass seems to be a mix of weeds, small ground cover, grass, and mud. I want to fix it and make it pretty again. And you can certainly do it with some maintenance on it. Click Here & Click Here for a three-step procedure that will assist you. Hope it helps you.